A few of my close girlfriends are expecting, so I thought I’d share my best tips for keeping that queasy tummy under control and minimizing pregnancy nausea. 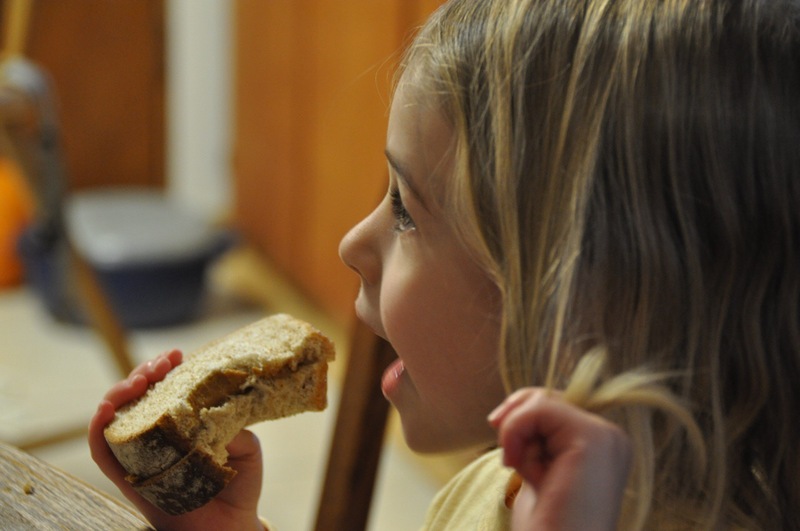 Let’s get you enjoying food again as much as my daughter enjoys her peanut butter sandwich! 1. Eat often. This is key. Small frequent meals help maintain an even blood sugar and prevent those woozy, dizzy crashes and feeling weak. Basically treat yourself like a newborn, and eat every 2-3 hours in the daytime. Things like healthy smoothies, trail mix, cheese and crackers, yogurt and banana, bran muffins, fruit etc. Make sure to have stuff around that you enjoy eating, and seize the moment to cook when you’re feeling ok. Slow cookers are great this way! 2. Eat heartily. Make sure there’s some good fat and protein in what you eat. Healthy is good, but when you’re growing a baby, you need more than salad greens. So have hummus with your veggie sticks, or choose a Greek salad with feta and olives. 3. Don’t drown your food. Too much liquid sloshing around is a formula for a lost lunch. For me, a hot breakfast sandwich topped by cold juice = 😝!! Instead sip something between meals…like tea with milk and honey, or ginger ale. 4. 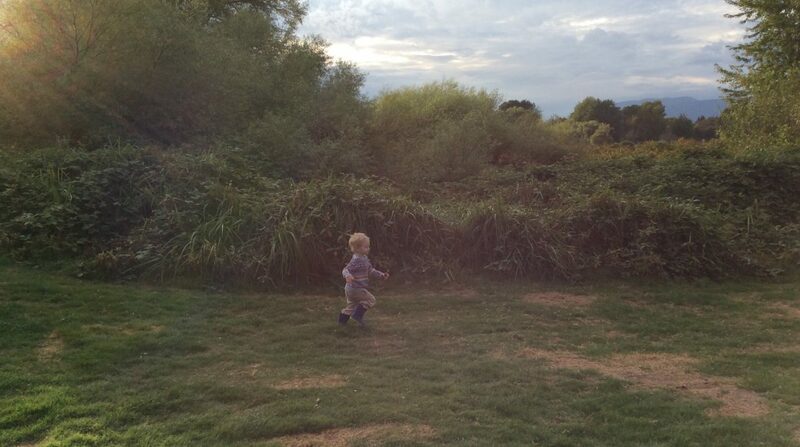 Don’t eat and run. There’s nothing like the stress of eating in a rush and running out the door to ensure your panicky stomach will lose its contents. So slow down and savour your food. Remember building a baby is important work! 5. Let you body decide. If you really crave something, and it’s not a clearly forbidden food during pregnancy, like raw sushi, go for it. Don’t be perfectionist when you’re feeling queasy–almost any food is better than no food when you’re growing an entire new person inside! Allow yourself to order in sometimes, or go out. Food someone else prepared can be so much yummier…and new moms need to be ‘mothered’, too! 7. Always pack a snack. Makes sure you have easy-grab snacks to throw in your purse when you go out. The last thing you need when you’re getting errands done or taking kids to the park is to feel woozy! Apples, trail mix, muffins, or a healthy bar like Vega One meal replacement bar or Vega Sport.